Helping You Make All Your Wishes Come True! 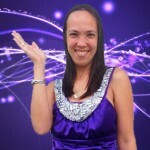 I am a Manifestation Mentor who specializes in Soulmate Matchmaking and Abundance Development. I teach people how to become their own genie so they can make their wishes come true. My signature 3 month programs help you meet your soulmate, grow your wealth, or live your dream career. My VIP session is a few hours long and can turn into a life changing day for you. I take personal clients online or over the phone, using programs like Skype. I also provide workshops and seminars upon request. Corporate and Small Business Programs can be arranged on a case by case basis to improve team and business performance. This coaching and guidance has helped many create miracles- manifest large amounts of money, find soulmates, advance career, improve health and well-being, and much more. Schedule a FREE 30 minute Manifesting Session with me to find out how manifesting magic can change your life. In this introductory consultation we can say hello one on one, talk about your current challenges, goals, discuss the next best steps for you to take, and talk about how we can work together to make your wishes come true. 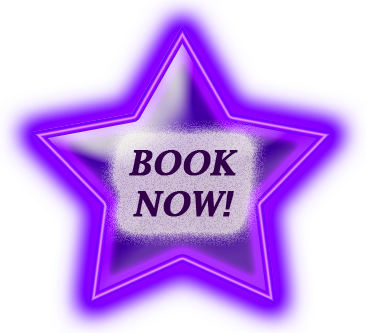 At any time you can book this session with me by clicking the purple “Book Now” star to the right. This complimentary session is for all applicants who are ready to invest their time, energy, currency, collaboration, and commitment into accelerating their desires into their life, making their dreams come true and manifesting miracles. If you are not ready to make this commitment, you can benefit by exploring this website further and enjoying the services available to you here at little or no cost and time investment. This is one 3 hour session with me that focuses on your unique goals that you wish to achieve in your life in the realms of Love and Money. You will receive helpful guidance about overcoming obstacles and challenges. We will work together to help you formulate your visions and desires. You will also receive several helpful exercises to do so you can continue your manifesting magic even after the session is over. If you are interested in this 3 hour VIP session please let me know during your initial Free 30 minute Manifesting Session consultation. Are you looking for Love, more Money, or your Divine Career? My three month program can help you make your dreams come true! Your unique program can be tailored to your unique situation and your heart’s desires. Each program comes with 12 personal one on one sessions, received weekly online or over the phone. Included in your program is over 21 Manifesting Exercises to give you a powerful surge to bring what you desire into the experience of your reality. Learn to become your own genie and make all your wishes come true! ★ To effectively heal your heartache and overcome challenges in Love, Money, or Career. ★ Wisdom and Insights about how to align your reality with your true heart and soul’s desires in ways you may not have found anywhere else. ★ How to use your Will Power, Imagination, and Heart & Soul to live your dreams and experience a comfortable, fulfilling life in the area you most desire to improve. Strengthen Your Will Power, Assess Past Patterns, Align Your Mindset and Your Heart With Your Vision. Exercise Your Imagination, Connect With Your Desires in Guided Meditation, Harness Your Intuition. Follow Your Heart and Soul, Celebrate Your New Life, Enjoy Your Dreams Come True! This Program Includes Over 21 Manifesting Exercises to assist you in bringing your desires into your life swiftly, using the principles of the Law of Attraction. Whether you are looking for your dream lover, more money in the bank, or a career you love that expresses your Life’s Purpose in the world, these exercises can be practiced to achieve the results you desire to live. 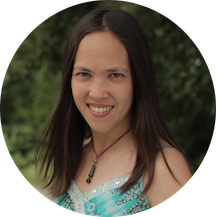 Goddess Allison has over a decade of experience and education in the holistic field. She has successfully overcome her own struggles with love, money, and career, using the principles of the Law of Attraction. Now she helps other people find soulmates, discover their dream career, and grow their wealth as a Soulmate Matchmaker and Abundance Development Guide. She teaches you how to become your own genie like no one has ever taught you before, no magic lamp required. If you are curious or interested in acquiring your own personal manifesting lucky charm and you would like to receive this special program, please book a FREE 30 Minute Manifesting Session to speak with me. We’ll talk about your specific desires for, where you may have challenges or obstacles in your path, and how this program can turn your life around, manifest your desires, and improve your lifestyle and well-being. 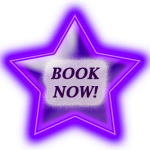 Click the purple “Book Now” Star to get started! ~ Are you ready to live the life of your dreams? ~ Are you ready to swiftly manifest your desires? obstacles in Love and $$$? Manifesting Session with me today. Copyright © 2015 Goddess Allison.